So what exactly is a certified home inspector? Its a professional whos trained and licensed to assess all the systems in a house. The inspector evaluates the structural integrity, checks for foundation defects, inspects the roof. Typical roof considerations are the condition of the shingles, trusses or rafters, flashing, and ventilation systems (ridge vents, whirlybirds, and soffit vents). He or she also evaluates the rest of the home for function and efficiency in detail. When Should You Hire a Home Inspector? One common situation where a home buyer or seller would hire one is after agreeing to a purchase price, but prior to sitting down to close the deal with the real estate agent or realtor. The results of the inspection may alter the price. The second common situation, increasingly popular, is when the homeowner wants to increase the house's energy efficiency. The inspector walks around the house, examining the roof peak by looking for sagging areas which might indicate roof structural or foundation problems. Next, he will climb his ladder onto the roof where he will inspect the wind turbines or ridge vents in detail. Hell also check the metal flashing around plumbing vent pipes (sometimes called stink pipes), in the roof valleys, around skylights and chimneys, and around roof ventilation systems. 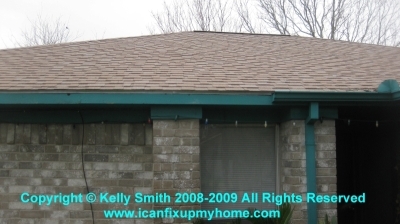 He will examine the general shape of the composition shingles, metal panels, or roofing tiles. An estimate will be made of how long it will be until replacement will be needed. A generalized external visual evaluation. This is a general inspection of the exterior of the home and systems. Included are examining the type and condition of the house's siding or brick veneer, the physical state of any electric or solar powered landscaping lighting and automatic sprinkler systems. Also noted are the condition of the driveways as well as sidewalks that fall within the property lines. If the circuit breaker box is located outside the home, he will examine it now also. Next, the inspector will enter the homes interior to continue the check. Hell make an overall plumbing examination of toilets, faucets, tubs and showers, sinks, and the garbage disposal. Usually, sewer inspections aren't included. Hell look for cracked drywall around doors and windows that are sticking. Both of these situations might indicate foundation damage. An examination of the attic space is performed to determine if the recommended R-value of attic insulation has been installed. The roof framing (rafters, trusses, bracing, etc.) is graded for structural integrity. In hot parts of the country, a radiant barrier foil installation or paint job can make serious points for energy efficiency. The house's electrical system check is next. Its condition is a factor in a house's resale value. Years ago, from the mid 1960s through the early 1970s, aluminum wiring was used extensively in residential construction. This constitutes a fire hazard and re-wiring with copper is highly recommended. The electrical inspection also includes ceiling fans, bath exhaust fans, operational analysis of outlets, whether the kitchen and bath is equipped with CGFI receptacles to meet code, and the light fixtures in general. Next on the list is the functionality of major appliances and determining if they are Energy Star rated. Some of these are the water heater (or tankless water heater), dishwasher, range and oven, dishwasher, and the hard-wired smoke detectors. When the inspection is finished, the inspector will give the homeowner (or hopeful homeowner) the final result report, which will identify problem items and will make recommendations for improvements. I offer blog and article-writing services at a reasonable rate. Interested? Hire Me! Website © 2008 KSmith Media, LLC; all rights reserved; content may not be copied, rewritten, or republished without written permission. Webmasters Google profile.